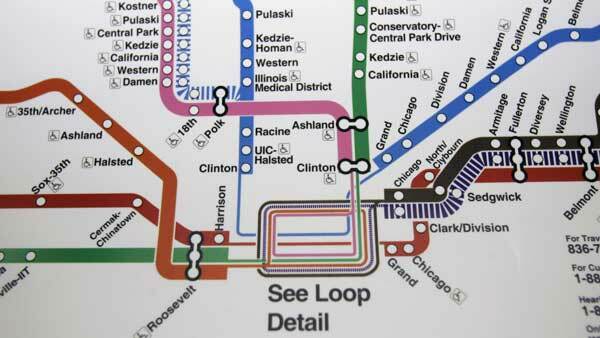 CHICAGO (WLS) -- The CTA will provide additional rail service over the Fourth of July holiday weekend. With the Grateful Dead concerts and Soldier Field and the Fourth of July Fireworks at Navy Pier, the CTA is expecting more riders than normal on buses and trains. CTA buses and trains will run on a Sunday/holiday schedule on Friday. They will run on a normal Saturday schedule and Sunday schedule over the weekend, with additional service. Longer trains will run on the Red, Blue, Brown, Green, Orange, Pink and Purple lines during certain periods over the weekend. Bus service will increase along routes serving Navy Pier, the Loop and areas along the lakefront. For more detailed information about specific train lines and bus routes, CLICK HERE. The CTA recommends loading Ventra cards ahead of time. Bicycles will not be allowed on trains over the weekend. Riders should also allow extra travel time.